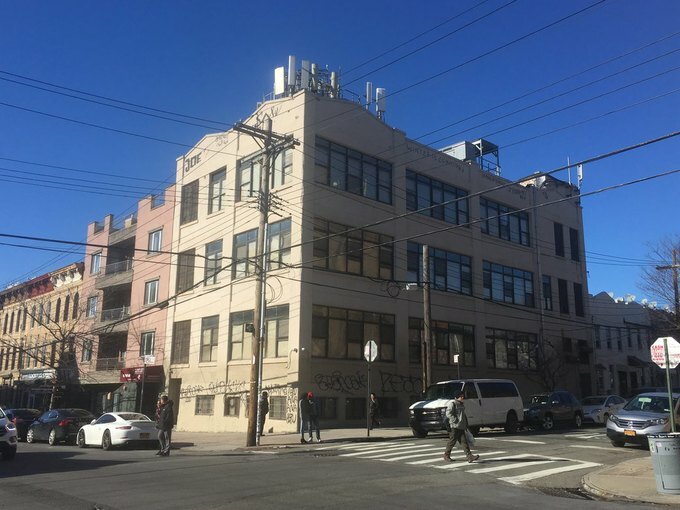 Bushwick residents are organizing to stand up for their community after the Department of Homeless Services (DHS) proposed opening a homeless shelter at 97 Wyckoff Ave. later this spring. Community members will be canvassing the neighborhood on Friday, March 29 to bring awareness to the proposed shelter and garner more community involvement. They will meet across the street from the proposed shelter, outside of 101 Wyckoff Ave., and work their way through the surrounding neighborhood, talking to members of the community. According to the DHS, the proposed shelter will be a transitional living facility for 80 single adult men experiencing homelessness. The average stay per tenant is approximately one year and priority will be offered to people originally from Brooklyn, giving them the opportunity to reintegrate into their families and support networks. “Bushwick loves our people. Any one of us here can be homeless. Any one of us,” said Brooklyn Community Board 4 Chairperson Robert Camacho at a lively community board meeting Wednesday, March 20, where the proposed shelter was presented to the public by the DHS and CORE Services Group, the non-profit that will be operating the shelter. Camacho’s point was echoed throughout the evening by other Bushwick residents who emphasized that the community is not turning its back on those in need, but demanding to be heard if the homeless shelter and surrounding community are to thrive in conjunction. Community gathering on March 23. Courtesy of author. “I’m absolutely here to listen to concerns and to take those into account as we move forward in planning this shelter,” DHS First Deputy Commissioner Jackie Bray told community members at the meeting. 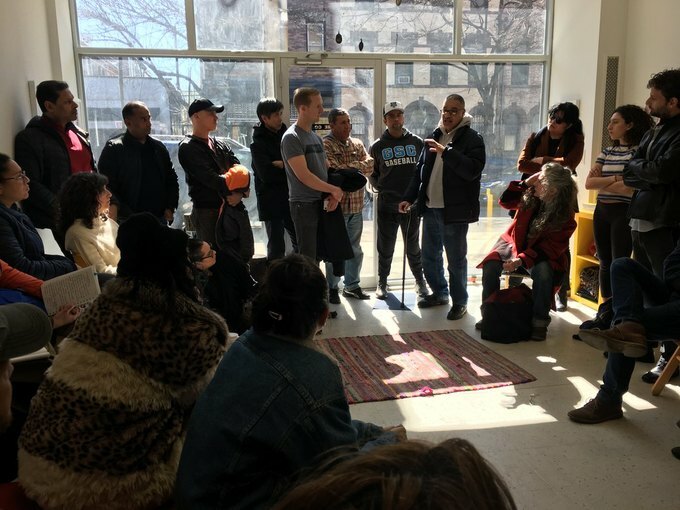 The meeting’s high attendance was partly due to the efforts of Assemblywoman Maritza Davila’s office, who sent out fliers on Monday and Tuesday urging Bushwick residents to attend the meeting and speak out. “Nobody knew about this,” said Davila at the meeting. “I came to know about this two weeks ago.” The short notice from DHS about the proposal prompted the assemblywoman to reach out to the public, who may not have heard about the shelter proposal before the meeting and public forum. Lack of communication from the city about this swiftly developing project has Bushwick residents concerned and skeptical. When Bray announced at the community board meeting that the shelter was set to open later this spring, the crowd responded with audible gasps and demands for more public discussion about the project. 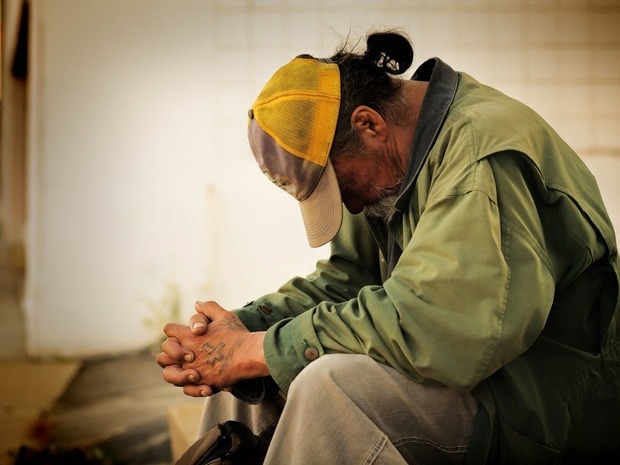 Some community members have expressed that with more public input and engagement, the neighborhood would be better prepared to embrace those living in the shelter. Frustration among the community stems also from the perceived failure of the city to take the landscape of the neighborhood into account. 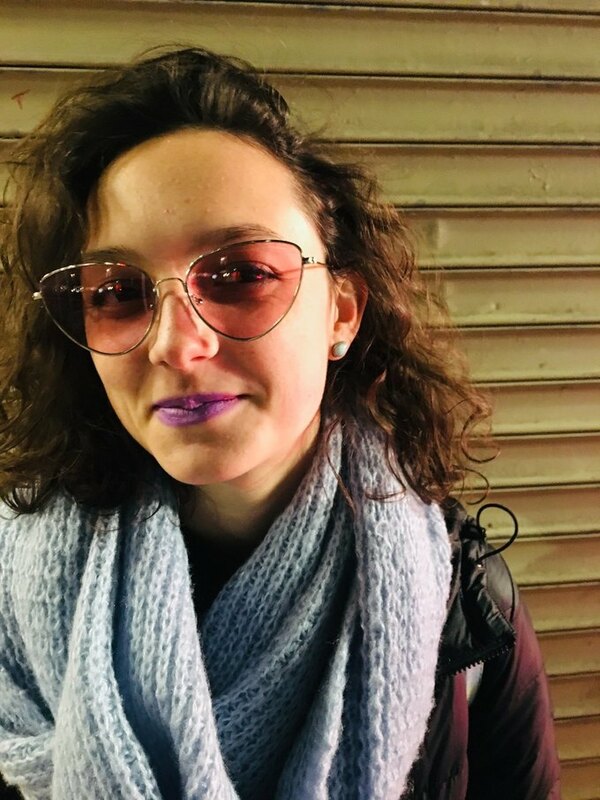 “They’re missing a more profound context,” said Natalia Sacasa, a Bushwick resident and local business owner. Part of that context includes the physical geography of the proposed shelter, which is within a mile of two local public schools, PS 123 and PS 305. “We are just overwhelmingly concerned about the children coming in and out of the school every day,” said Principal Arelis Parache of PS 123, holding up a stack of 356 petitions in opposition to the shelter. The site also sits a block away from a nightlife hub, a proximity that has residents further concerned about safety. 97 Wyckoff Ave., courtesy of author. Bushwick residents are willing to negotiate with the DHS regarding the population that lives in the shelter. The building cannot accommodate families, which is the community’s preferred population, because of its dorm-style layout. Family shelters typically include private bedrooms, bathrooms, and kitchens. Davila proposed housing senior women in the facility, pointing out that the nearby Ridgewood Bushwick Senior Center and Wyckoff Heights Medical Center work well for such a population. “We will continue a dialogue with [Assemblywoman Davila] and with community leaders about which single adults we place at the site,” said Bray. Father Mike Lopez, a Ridgewood priest and advocate for the homeless, who grew up in Bushwick, is in support of the proposed shelter. “I personally… continue to see a tremendous need in the community. Until that need is not there, I’m all for opening other programs,” said Lopez. As for the community’s particular concerns about the shelter’s proximity to the schools, Lopez said it’s far-fetched, as it’s going to be impossible to find a location in the five boroughs “not close to something.” Lopez also mentioned that in his experience, shelters often blend easily into communities without causing much trouble. District 34 Council Member Antonio Reynoso also voiced his support for the shelter at the meeting while acknowledging underlying citywide issues like equity and housing that are at the forefront of community members’ minds.